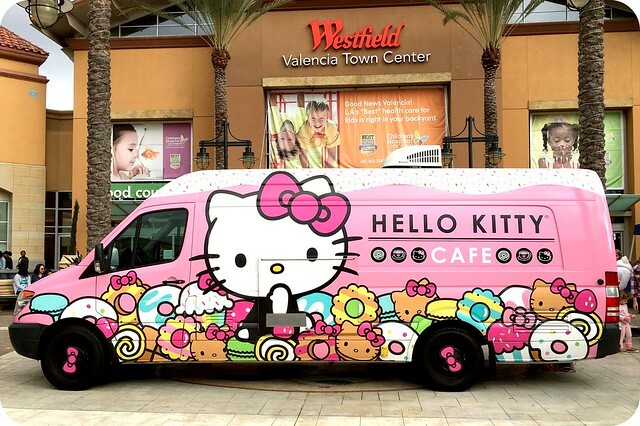 I was bummed when I couldn't make it to the Hello Kitty Cafe Truck when it stopped in Glendale, so you can imagine how excited I was when it came to my hometown. 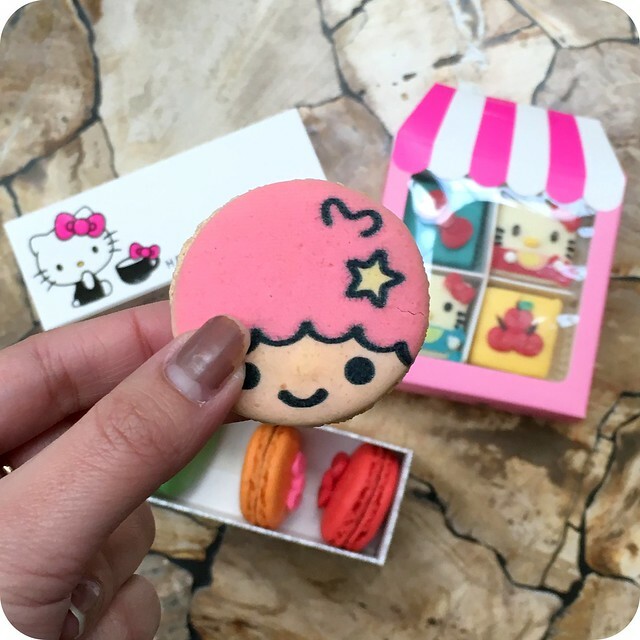 The promise of tiny cute food served in a bright pink food truck was too good to resist. I invited Tamara, a fellow Hello Kitty fan. The line was surprisingly short and fast. Ordering was quick and easy (I got the macarons and petit fours). Yeah, the food is a little pricey (as expected), but they were actually quite good! 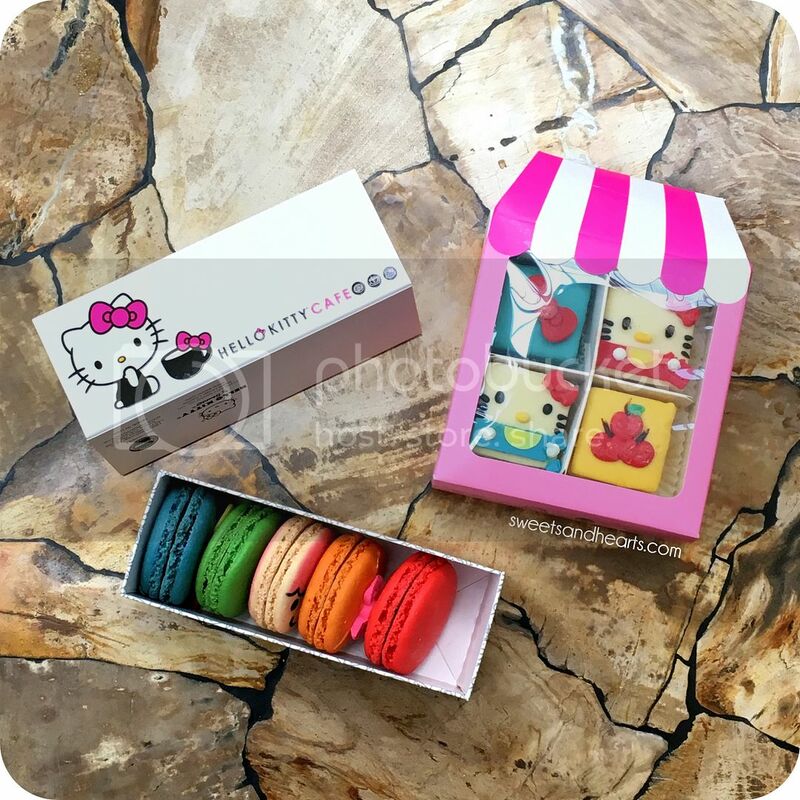 The macarons are pre-boxed with five different flavors (look at the Little Twin Stars detail below; the others are adorned with bows), and the petit fours are four different cake flavors. I really enjoyed the macarons because they tasted just like traditional ones--not too sweet with just the right amount of flavor. They were light and perfectly crisp. The petit fours were a little too sweet for me though, and a couple of them tasted too much like marzipan, which I'm not a huge fan of. Overall, I thought the desserts were beautifully hand-decorated and pretty good. Definitely the prettiest food I've had in a while. I was amazed at how much thought they put into all the details, from the packaging to the servers and their costumes, to the license plate on the back of the van. No detail went unnoticed. There were also sugar cookies, bow headbands, t-shirts, mugs, and other merch available too. A few of the things on the menu were already sold out or unavailable though. 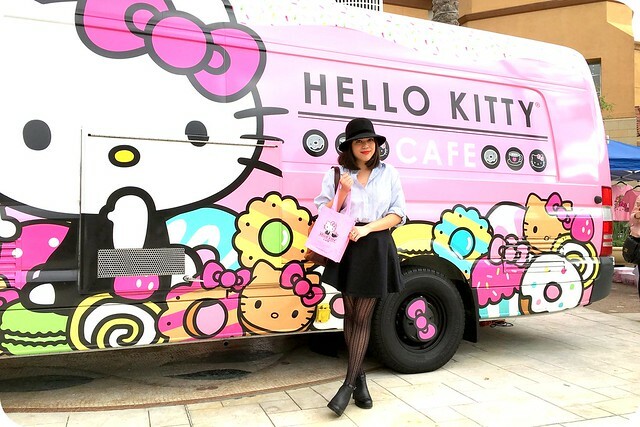 The Hello Kitty Cafe Truck is travelling, so check out their Instagram to see where it'll show up next. And please let me know if you're lucky enough to get your hands on those donuts. I really wanted to try those!